Coined by writer and coach Sasha Cagen in 2000, “quirkyalone” is a neologism to describe people and a mindset that has always existed but that is becoming ever more relevant today. Quirkyalones enjoy being single (but are not opposed to being in a relationship) and prefer being single to dating purely for the sake of being in a couple. It’s a mindset. Quirkyalone is not just about being happily single. It’s about finding happiness within yourself and learning how to bring that happiness into a relationship. When you’re quirkyalone, you know that being single is not a disease. Being single doesn’t mean you are broken. You can live a fulfilling life as a single person with work, family, passions, friendships and meaningful relationships that are not “the one” for the rest of your life. For many of us, finding satisfaction and solidity in this place within yourself is important whether you are single for the rest of your life or this is a space prior to entering a committed relationship. So to be clear. . .
Quirkyalone is not anti-love. It is pro-love. It is not anti-dating. It is anti-compulsory dating. We tend to be romantics. We prefer to be single rather than settle. In fact, the core of quirkyalone is the inability to settle. We spend a significant chunk of our lives single because we hold our relationships to a high standard; we actually enjoy single life too. Are quirkyalones loners? Not necessarily. Quirkyalones value friendship highly. We’re a mix of extroversion and introversion, though some quirkyalones are more on the introvert side of the spectrum. We all need some solitude. Quirkyalones are often creative and need time alone to allow thoughts to fully form. Fundamentally, quirkyalone isn’t so much about being alone as it is about connection: with yourself and others. It’s about liberating yourself from the expected road maps to discover your own. It’s about developing comfort with aloneness and recognizing that comfort is crucial to being with someone else. The quirky in quirkyalone is really about authenticity. It’s about accepting yourself in all your quirky glory, and being fully yourself, whether you’re single or in a relationship. The alone part is about willing to stand out from the crowd, to go to a wedding alone rather than go with a date, for example, out of social obligation. It’s about resisting the tyranny of coupledom, the prevailing notion that you must be in a relationship at all times in order to be happy. Quirkyalone and quirkytogether are very related. 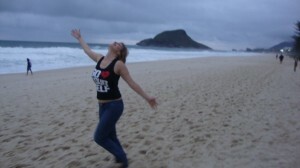 Being quirkyalone is about being yourself and not compromising who you are just to fit into relationship. The landscape of relationships is changing. As women find their own freedom to be economically independent, equal marriages and non-traditional relationships are becoming more common. Two quirkytogether people want to be together more than they need to be together. Quirkytogethers write their own rules for coupling. Common values tend to be authenticity, vulnerability, autonomy and independence as well as mutual support and deep connection (and some dependence too). The quirkytogether state is covered in its own chapter in Quirkyalone. Quirkyalone has received extensive media attention everywhere from USA Today to CNN to the New York Times. The best way to learn about the quirkyalone philosophy and how it can empower you is to read Sasha’s book Quirkyalone: A Manifesto for Uncompromising Romantics. 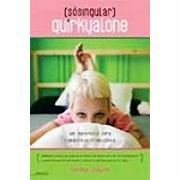 Quirkyalone also has published in Brazil, Germany, and Denmark. Quirkyalone has been growing every since 2000. Today Quirkyalone is a place where you can find an alternative perspective through Sasha’s newsletter Sasha’s List. You can also be part of our activities: workshops–online and in-person–to find community and learn the key skills of being a happy quirkyalone life, single or in a relationship. 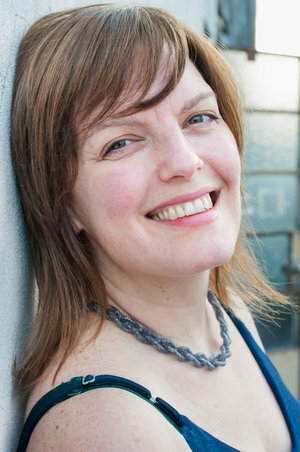 Sasha Cagen also offers private coaching for those who want to learn how to be strong individuals so they can fully enjoy being single and/or attract a partner for all the right reasons (rather than dating just for the sake of dating). Quirkyalone Travel Adventures are another exciting way to get involved. You can join us for our first travel adventure in BUenos Aires, the Quirkyalone Tango Bliss Adventure. Check back on the site and on the newsletter Sasha’s List for developments. Quirkyalone is always evolving! If you have ideas for partnerships or collaborations, or simply things you would love to see happen, then by all means be in touch. Email us at info AT quirkyalone.net. The best way to stay on top of all the goings-on around here is to subscribe to Sasha’s List.